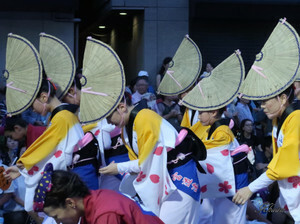 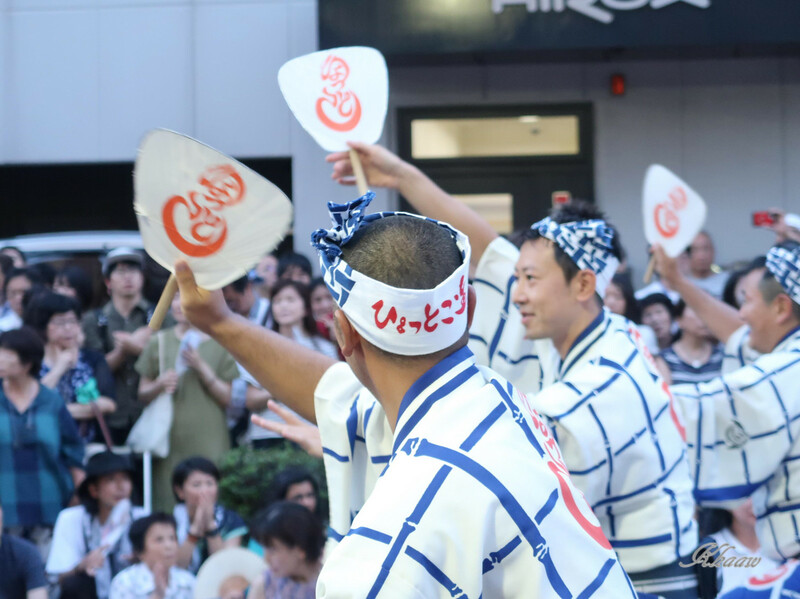 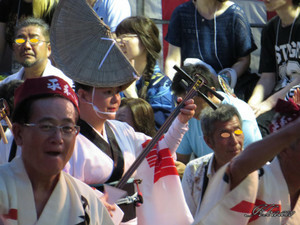 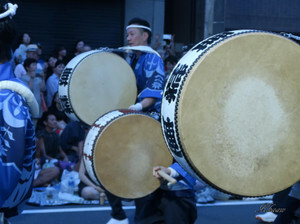 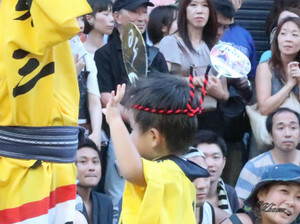 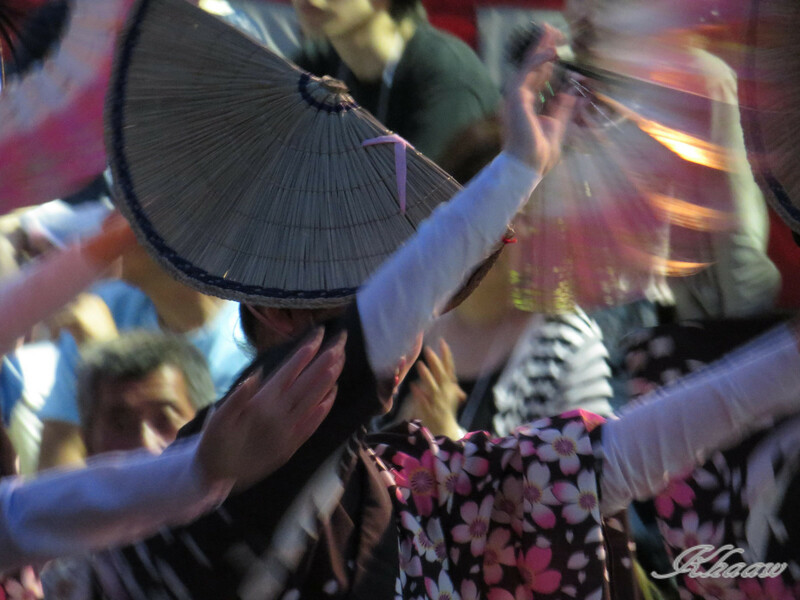 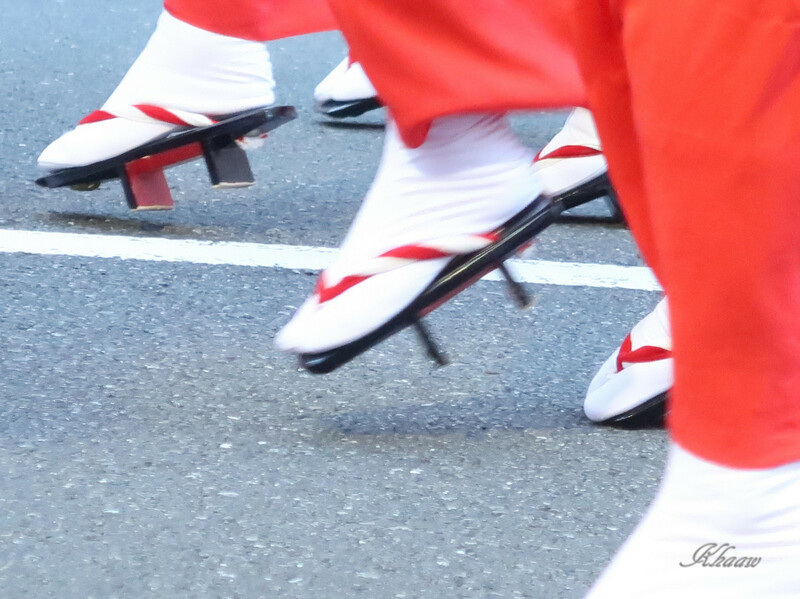 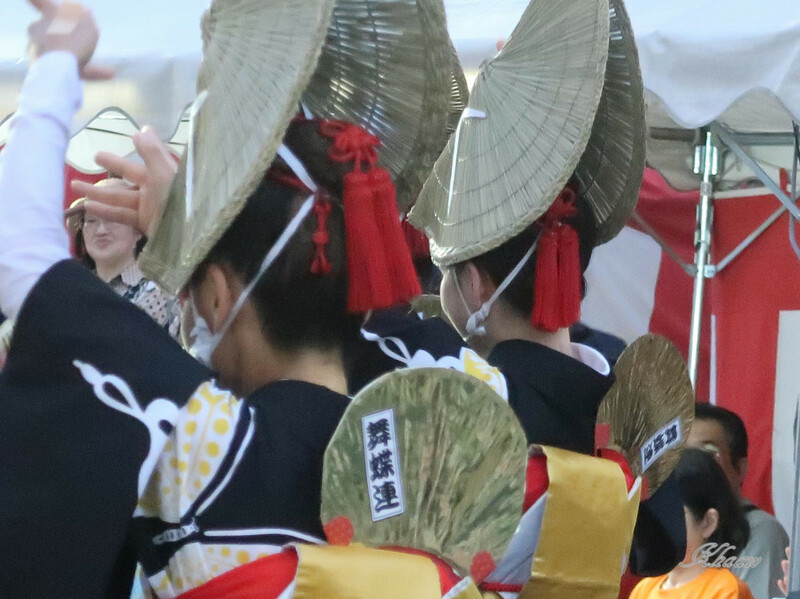 I enjoyed Awa-odori dancing festival in Koenji in Tokyo. 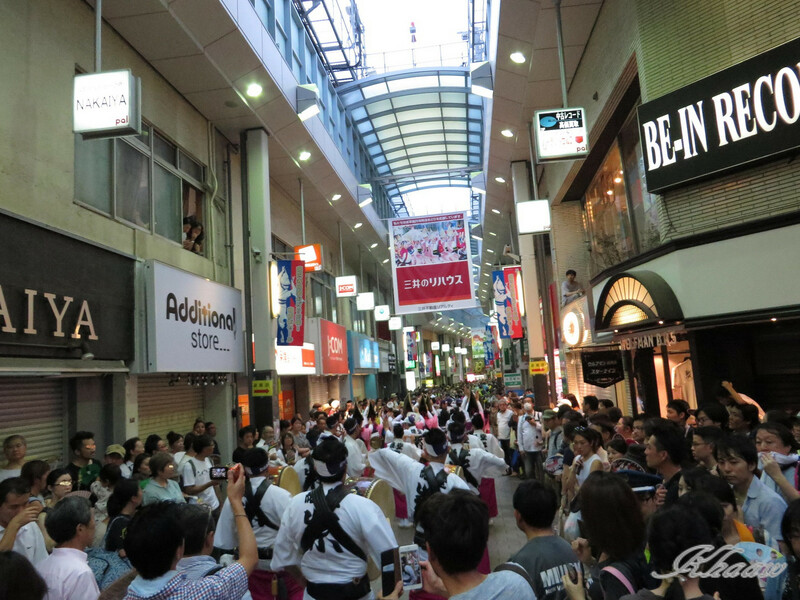 Biggest awa-odori festival outside Tokushima, original place of Awa-odori. This year is hotter than as usual, tough for wacting, but much harder for dancers. 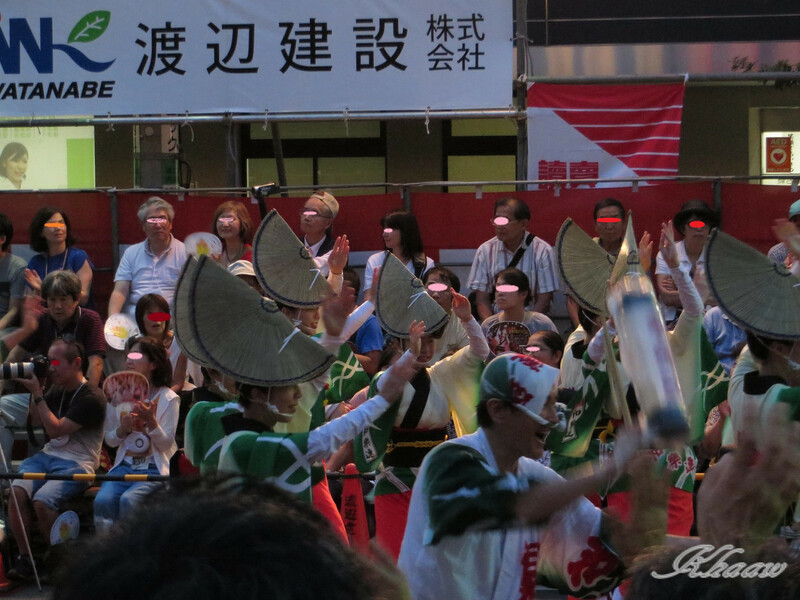 I was given many energy by watching them. 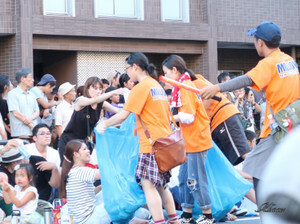 Many volunteers support the festival including collecting trash. 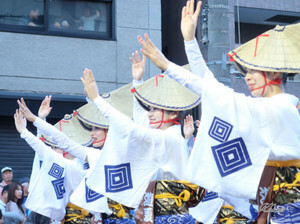 Thank you for your support for excellent festival. 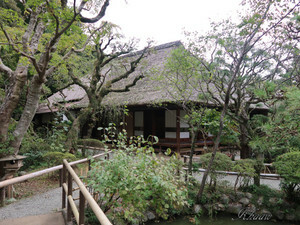 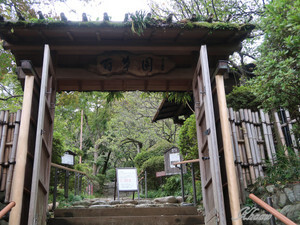 初秋の高幡不動から百草園に散歩しました。I walked through countryside in early autumn from Takahata fudoson Kongoji-temple to Mogusaen garden. 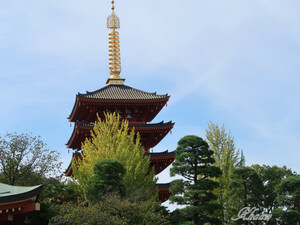 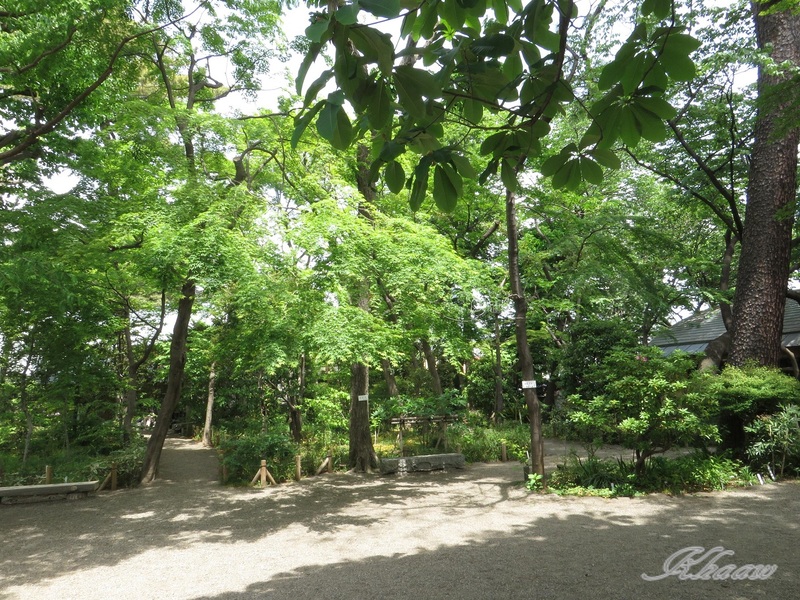 I walked around in good weather of early autumn, from Takahata fudoson Kongoji temple to Mogusaen garden. 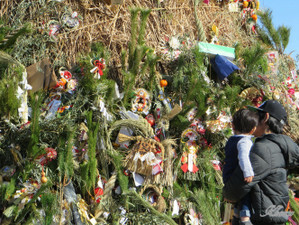 Leaves of gingo tree have just changed slightly, and in the grounds, children with Kimono for their Shichi-go-san festival (celebrating 7, 5 and 3years festival) were seen was delighted atmosphere. 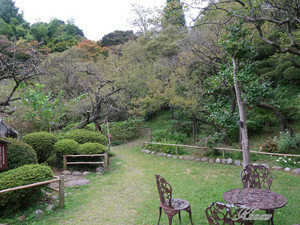 And then I visited a garden named Mogusaen, plenty of natural and hill-side garden. It could be a little bit early to watch colored leaves in mountain, I was able to walk around in few vistors. 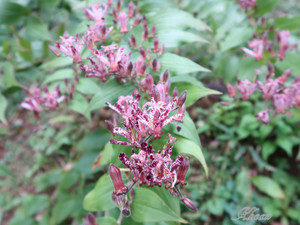 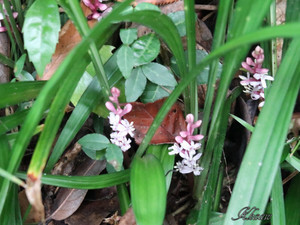 It was best time to see a toadlily with unique pattern and color of petals. 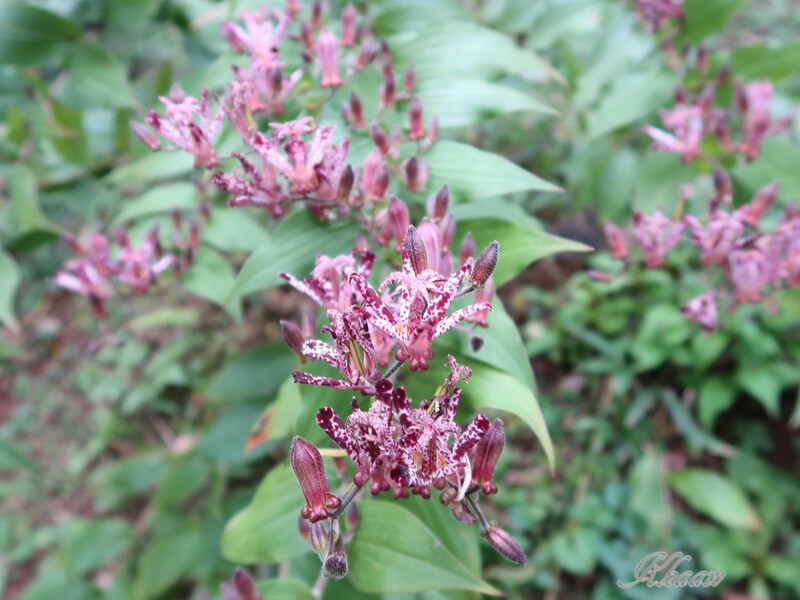 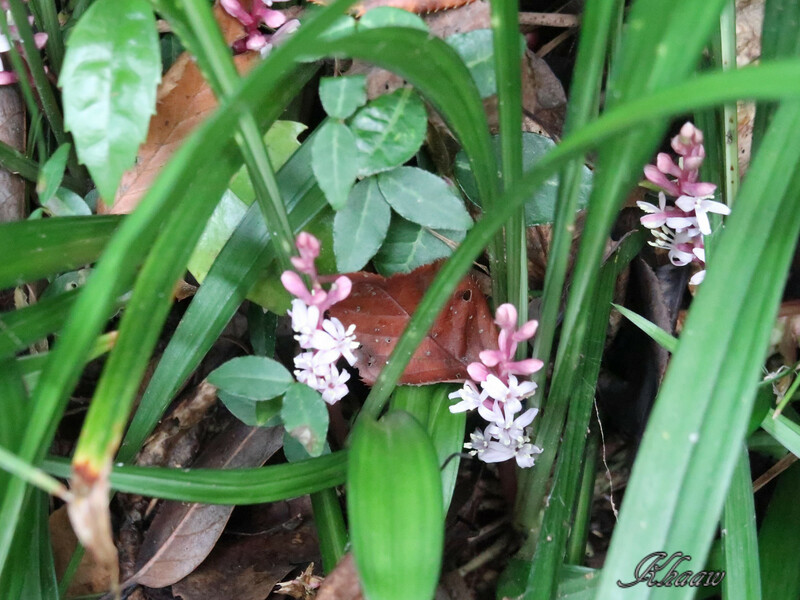 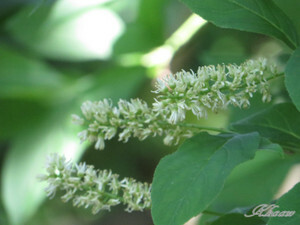 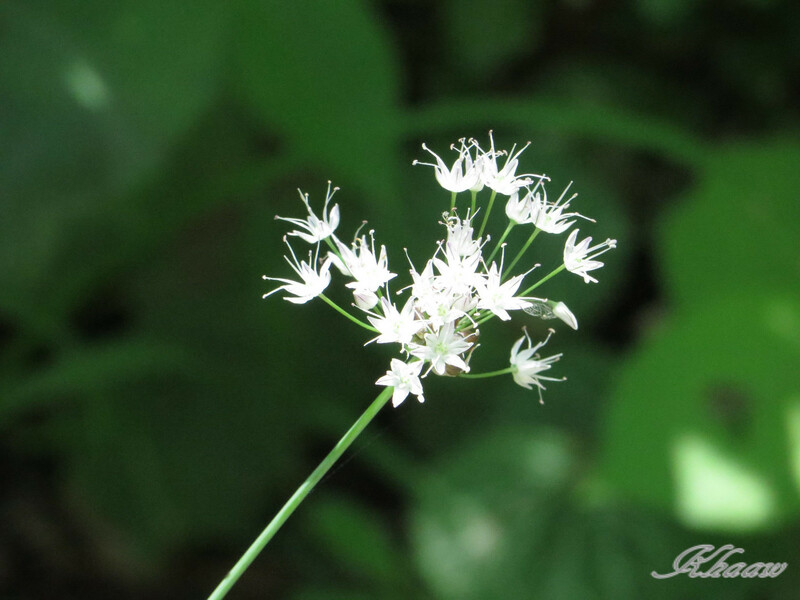 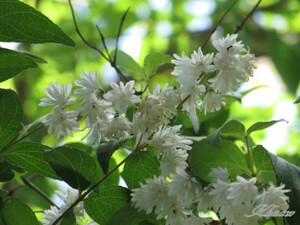 It was the first time to see a flower of Reineckea carnea; Japanese name is Kichijyosou which means flower bring us happiness. 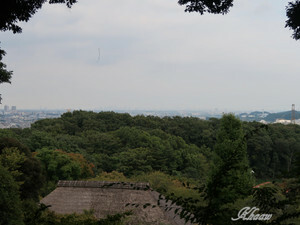 For the top of the mountain, I could see skyscrapers in downtown Tokyo. In the garden, I found many kind of mushrooms and some could be Amanita family, I could not identify poison or edible mushroom and decided to leave them as they were. 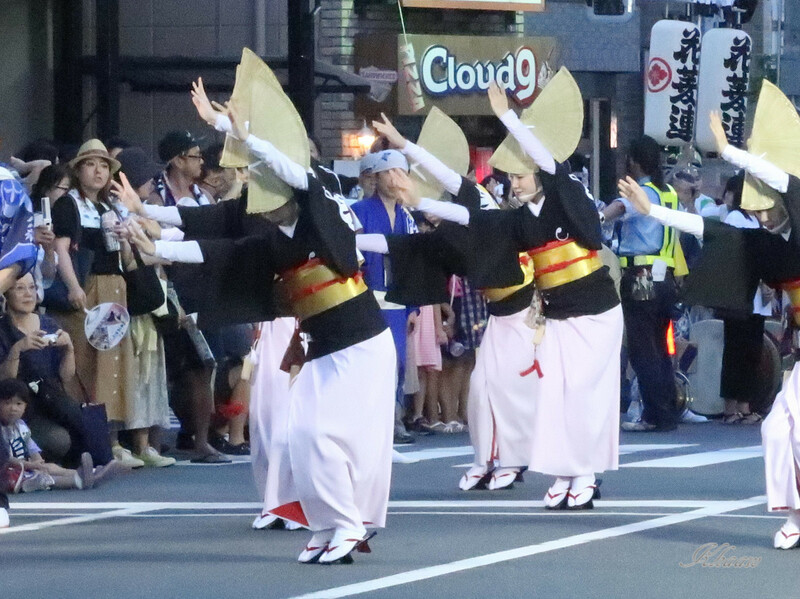 I enjoyed to watch "Awa-odori festival" in Koenji, Tokyo. 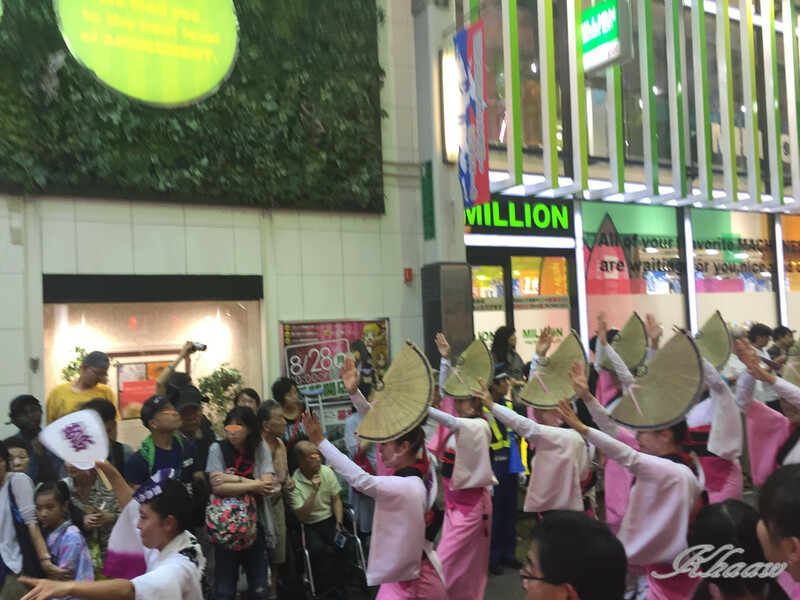 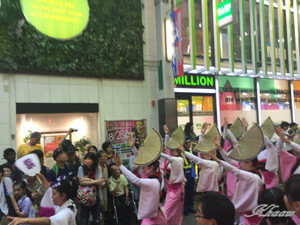 It is said around 10,000 dancers/ musicians on streets watched by 1 million audiences in two days festivals. 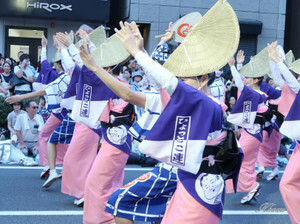 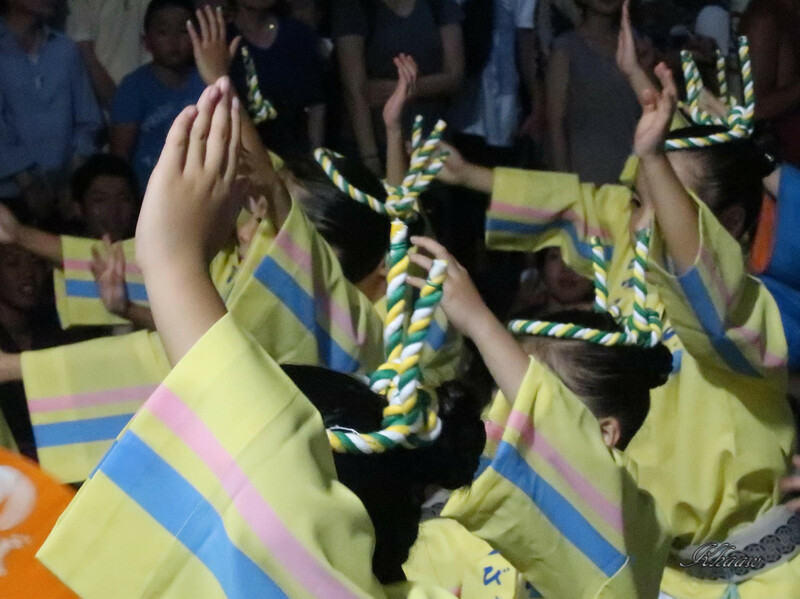 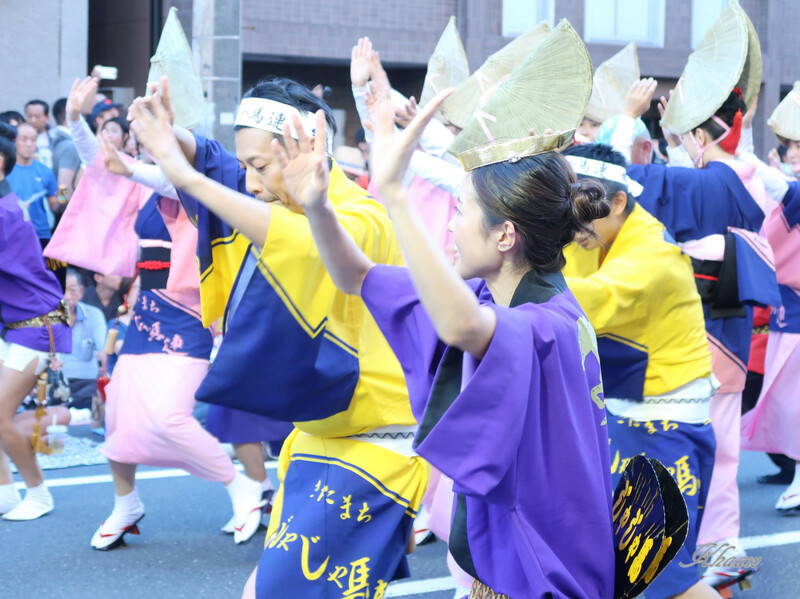 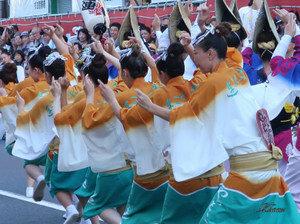 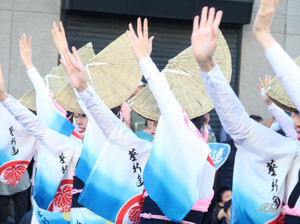 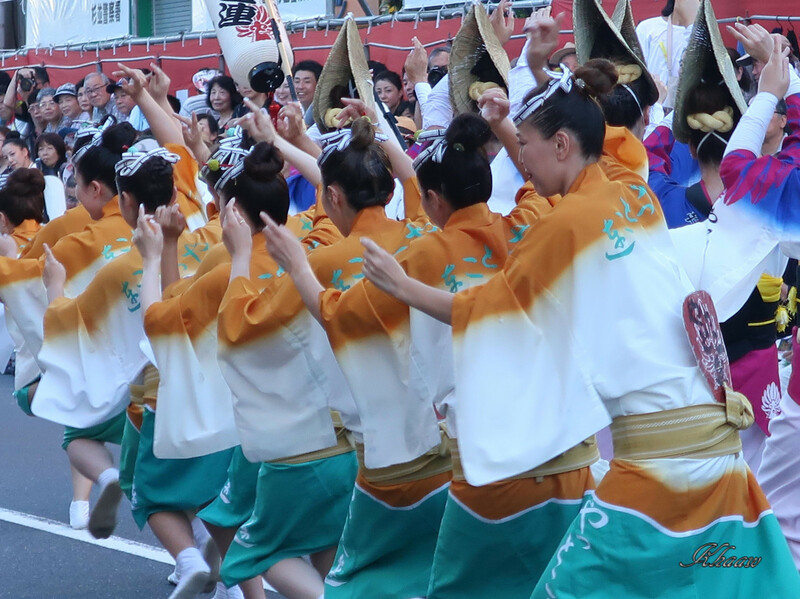 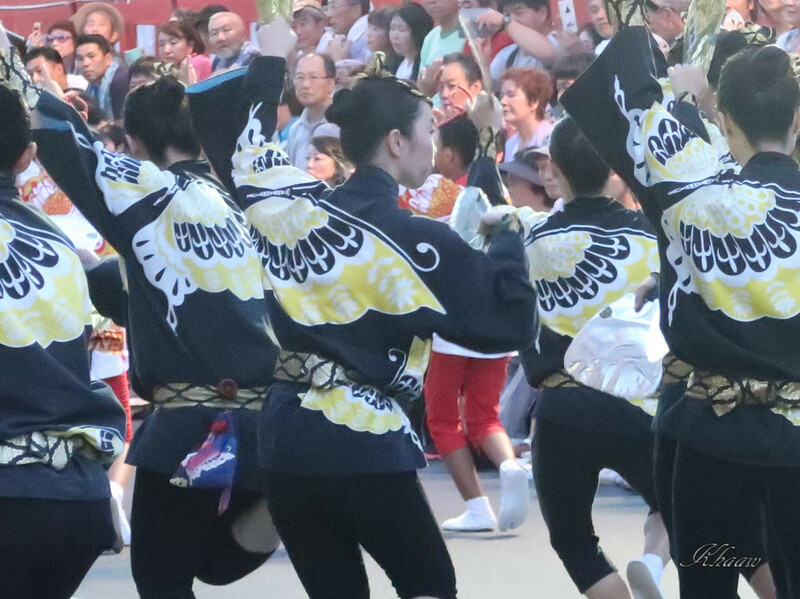 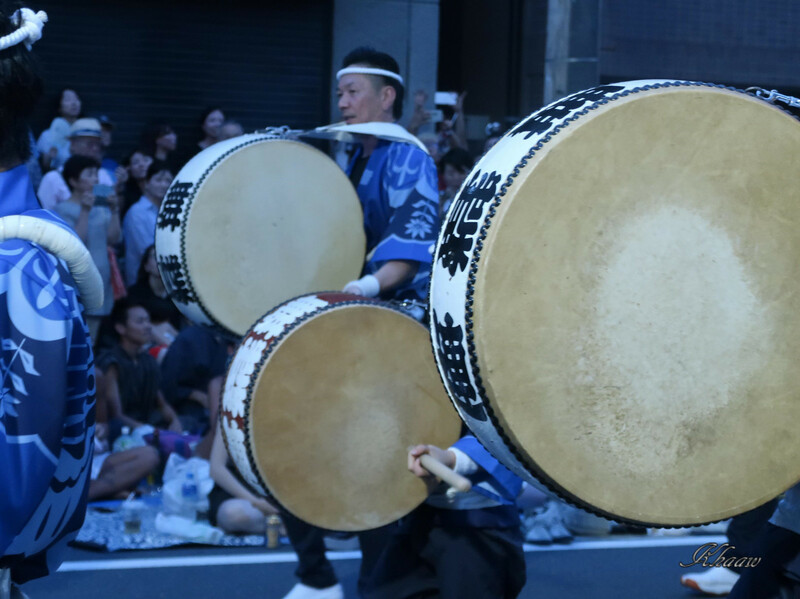 The dancing festival was originated and is enjoyed with enthusiasm in Tokushima, former name is "Awa", however, the festival here in Tokyo was also so exciting. 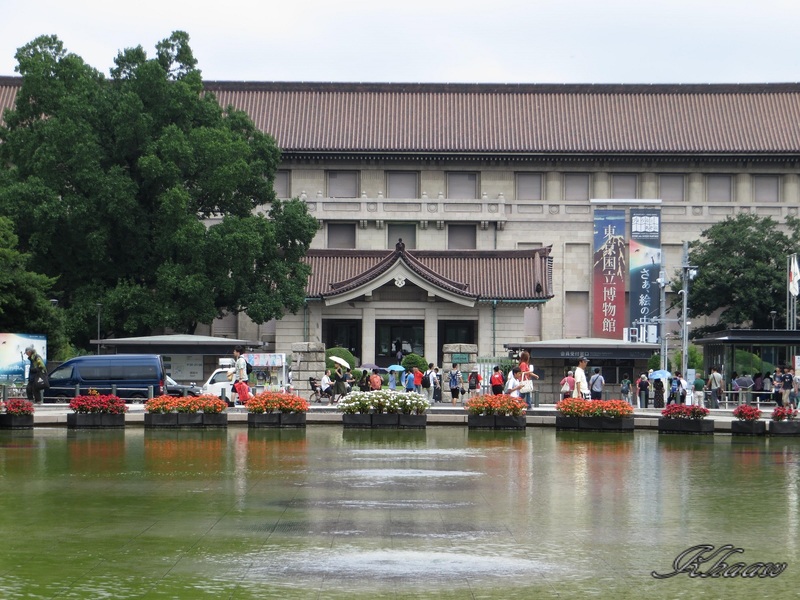 I visited the Tokyo National Museum in Ueno using my Obon summer holidays for re-learning Japanese history by Japanese art and craft goods. 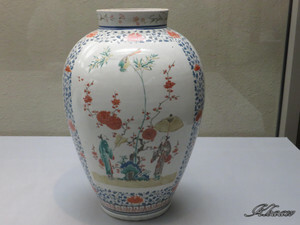 The museum have huge stock of arts and exhibit selected ones with historical order or kind of art. 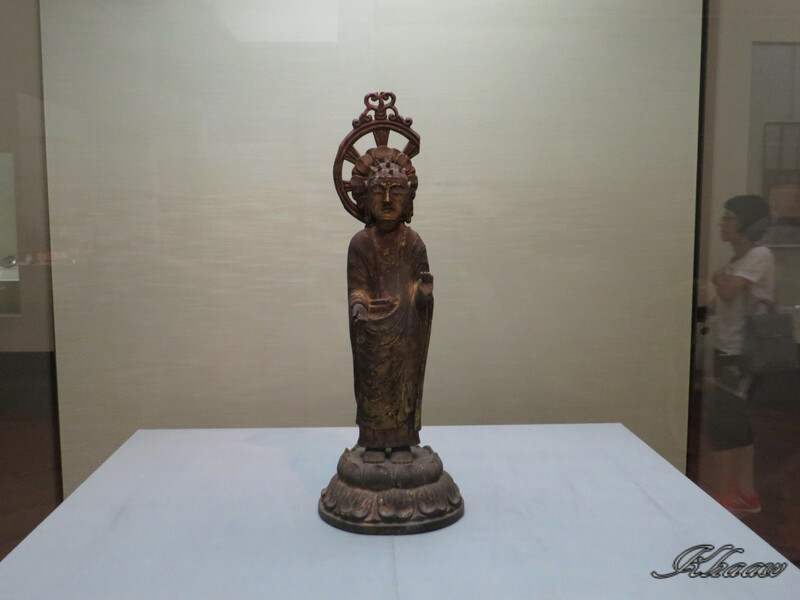 In the exhibits, there are many priceless excavated artifacts or works of famous artists which I learned by textbook in my schooldays. 写真をクリックすれば大きな画像で見られます。You can enlarge each picture by clicking on it. 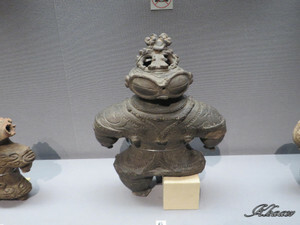 A “goggle-eyed earthen figurine” which is popular shown in a history textbook, looks very funny. It was good opportunity to realize actual size of an earthen figurine or a bell‐shaped bronze vessel by seeing actual materials. 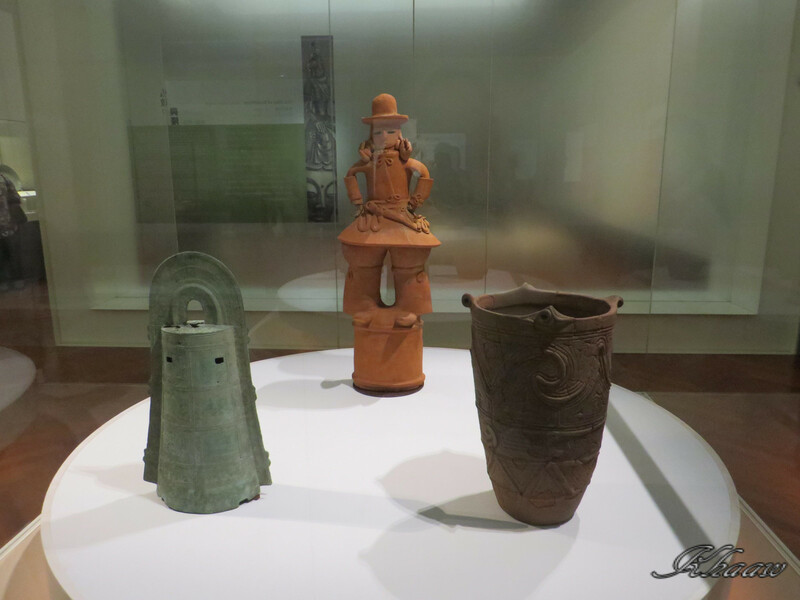 Earthen figurines were smaller and bronze vessel or vase were larger than my expectation. 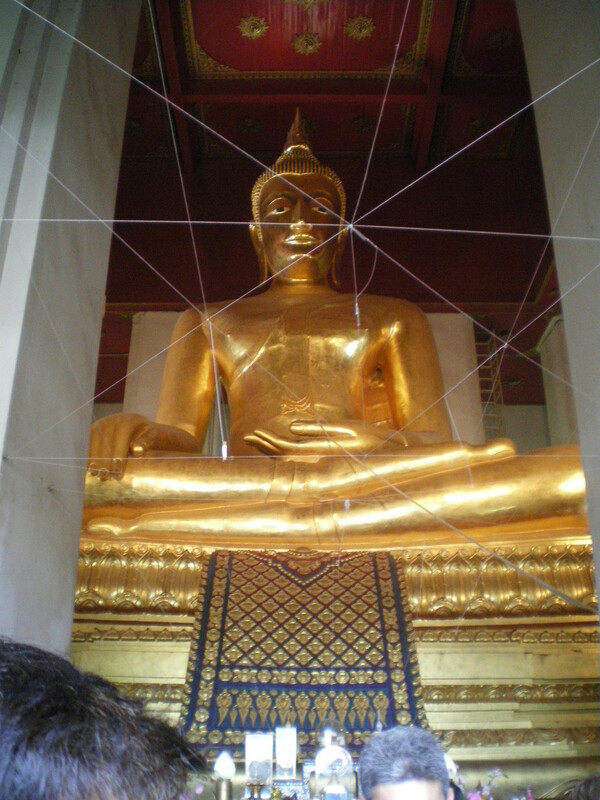 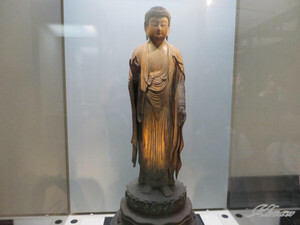 Buddha statues displayed in here can not be the most popular one since the popular ones are placed in temples in Kyoto or Nara, however I can compare figures and find difference by era in which each Buddha statue was created. From end of Heian period to Kamakura period, many statues of Amitabha were created. 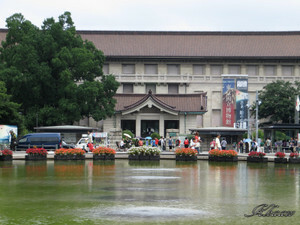 This museum is one of the best place to find many kind of superior art treasures and craft products at one time. 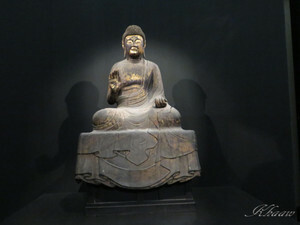 For almost all exhibited things, some exceptions are owned or provided by private individuals, we can take photos freely, so it is also good point. 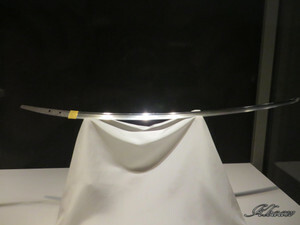 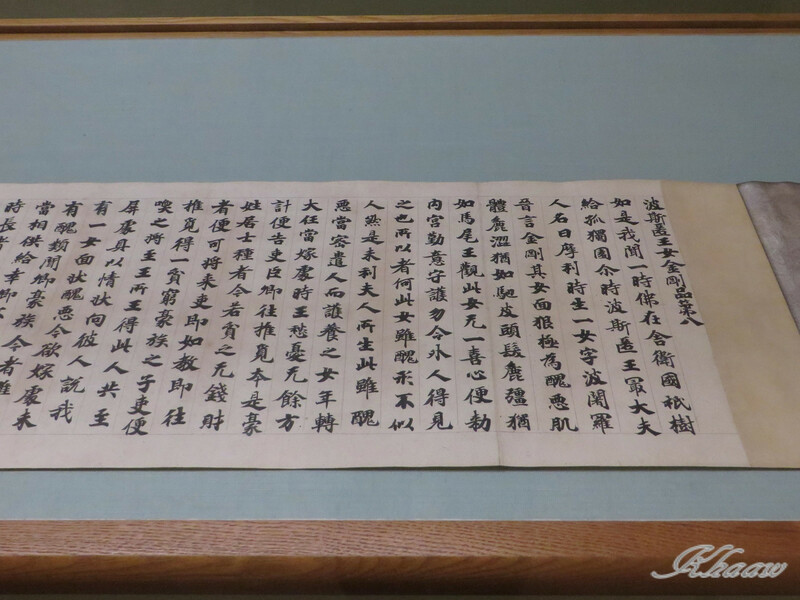 賢愚経（大聖武）Kengu kyo Sutra (known as O-shoumu"
Ukiyo-es and Katana; Japanese sword were the most attractive exhibits in there, since many foreign tourists were most interested them. 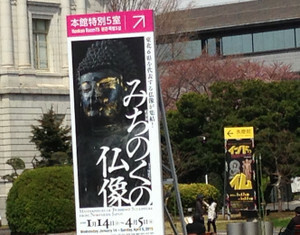 There were huge exhibits and impossible to see in one day, and I felt my leg hurts, however my heart was satisfied. 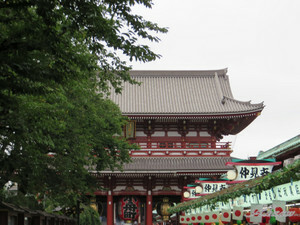 久しぶりの浅草　Asakusa, it has not been here for a while. It has been a while since last time I visited here, although I am living in Tokyo. 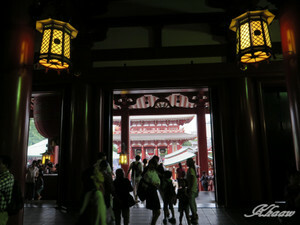 It is surprising to see so many foreign visitors in here. I found some Japanese girls and boys, teens or twenties, were enjoy walking in group with Yukata; Japanese casual summer clothes, may be before joining summer festival. 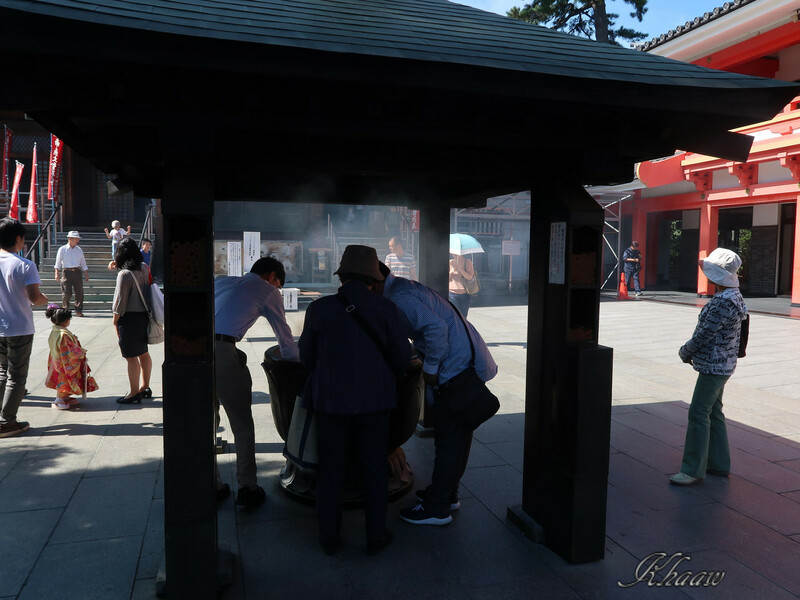 On the streets, many souvenir shops are standing as typical popular tourists' spots, it makes me a little bit exciting and happy. 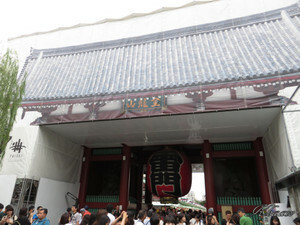 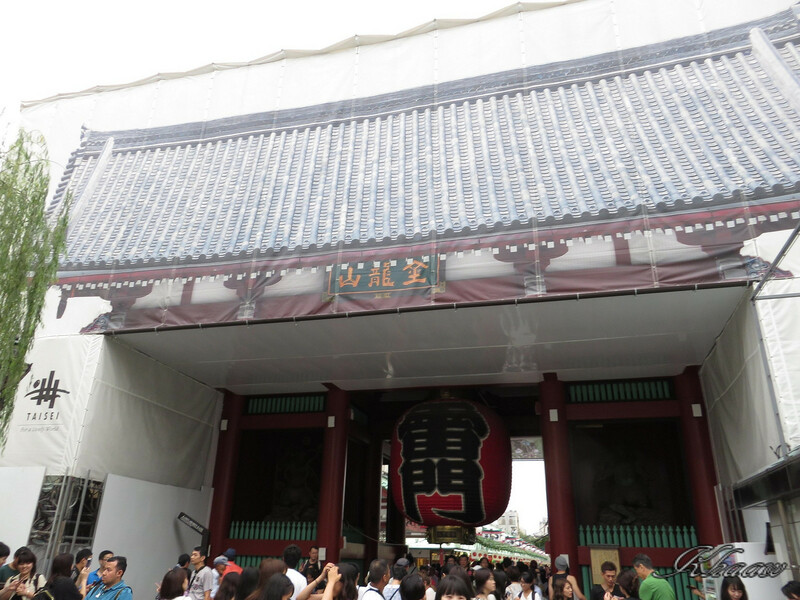 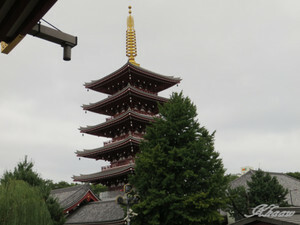 Kaminarimon; main gate of the temple is covered by a pictured cloth under renovation. 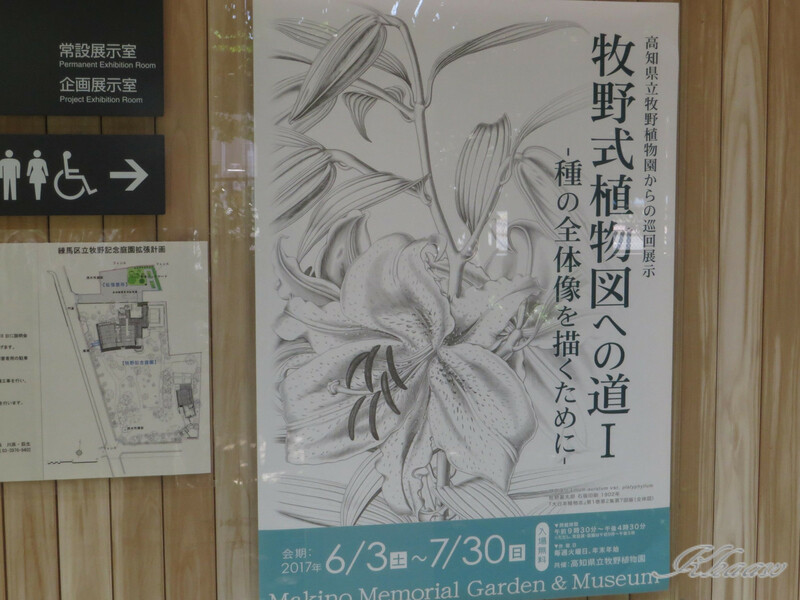 You may remember other article on Dr. Makino memorial garden about one month ago, this time I visited again for watching special exhibition of his botanical drawings. 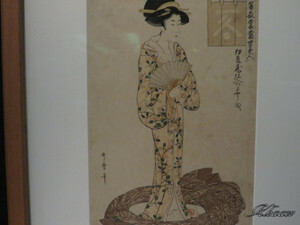 Contracting his drawings, his pictures shows his unique and open-minded character, I was very attracted by him. 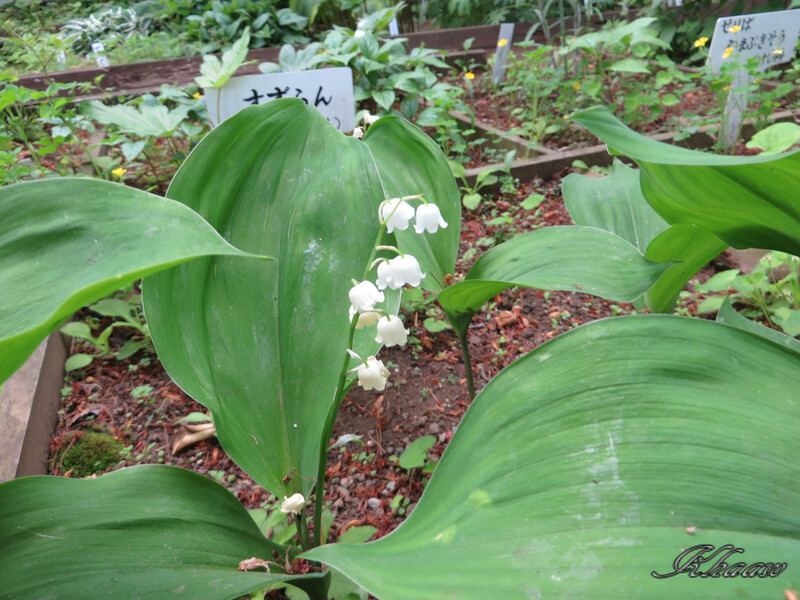 After I watched his arts, I enjoyed walking in the garden, I recognized my eyes to plants could be a little bit influenced by him. 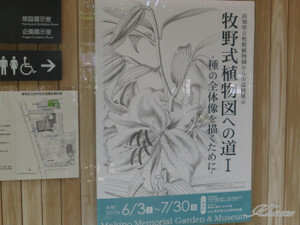 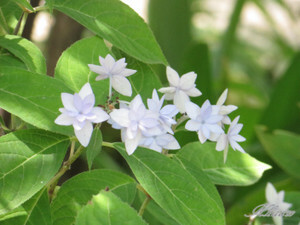 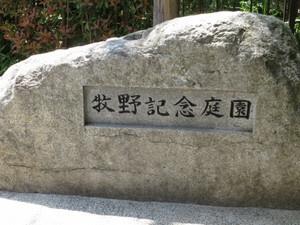 Sorry, but my upload is a little bit delayed, I visited Makino memorial garden in the last long weekend. Dr. Tomitaro Makino is very famous botanist and called “a Father of Japanese botany” and garden is constructed on the place Dr. Makino's residence in his latter years. 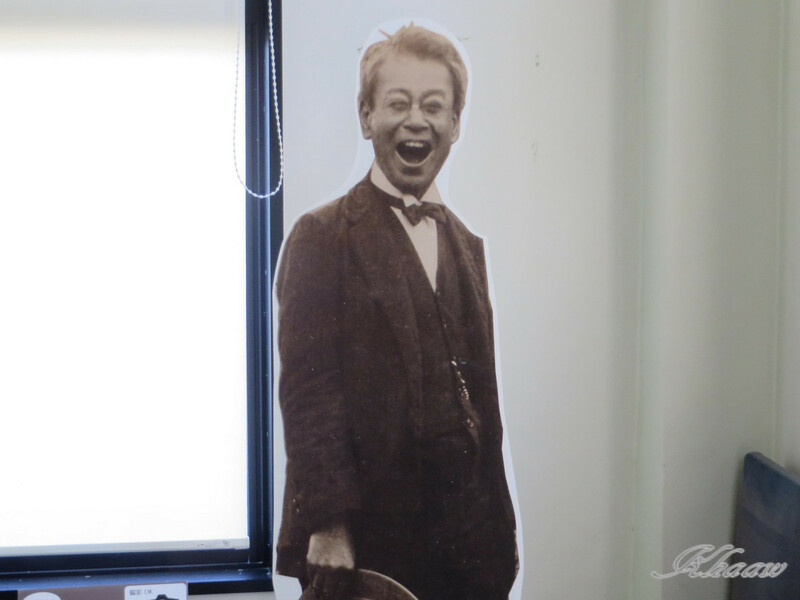 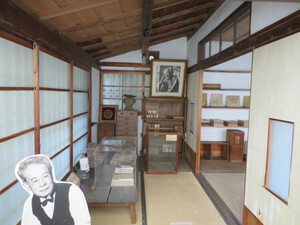 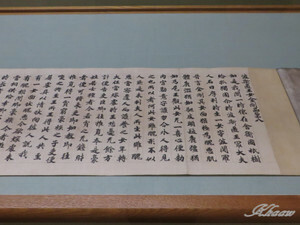 In a exhibition room, many interesting matters are presented such as his sketches or library. 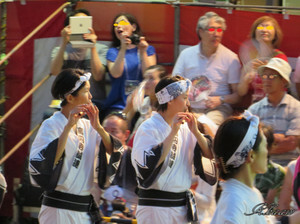 Observing from his pictures, looks very handsome guy, and very rich expressive face. 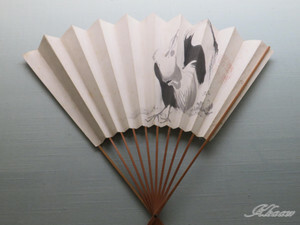 I was astonished at precise sketches. 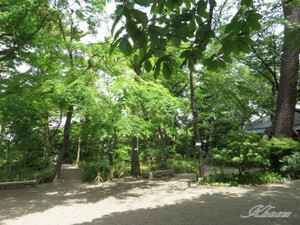 The garden is not so large since used be as his private garden, however planted mainly native species with calm and pleasant atmosphere. 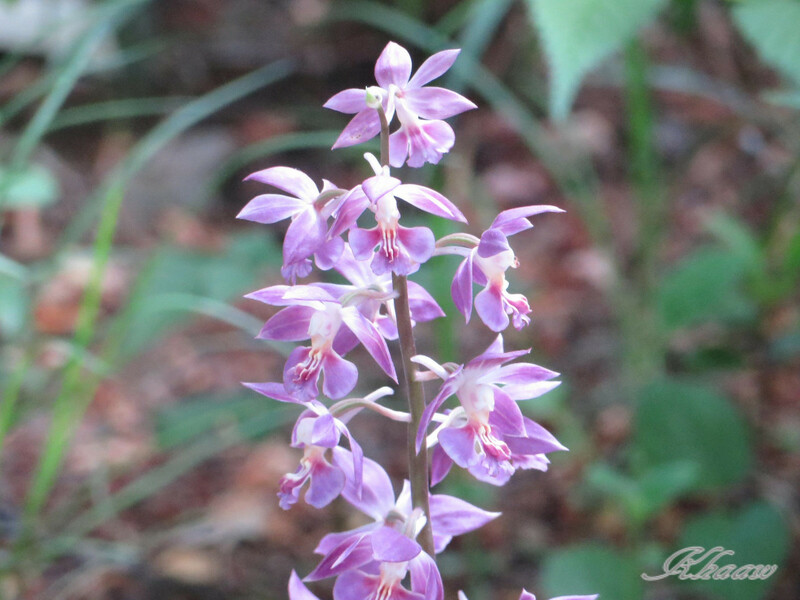 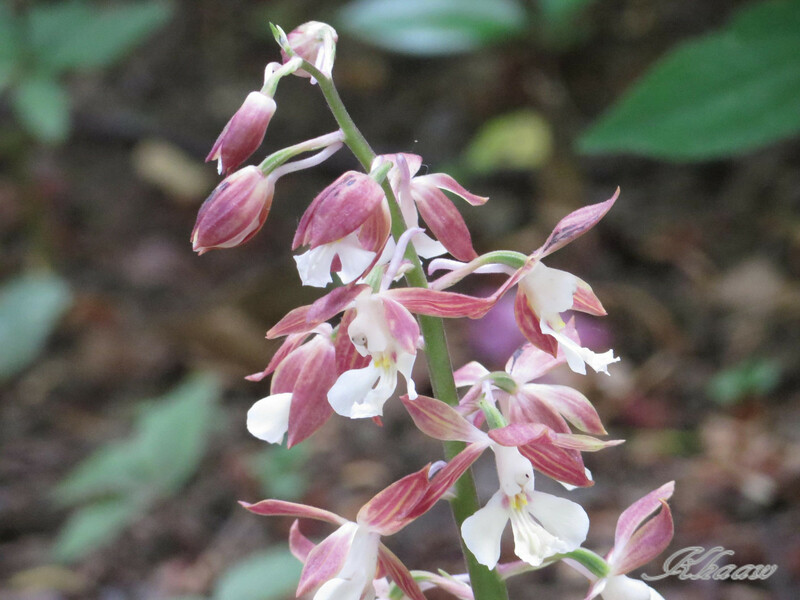 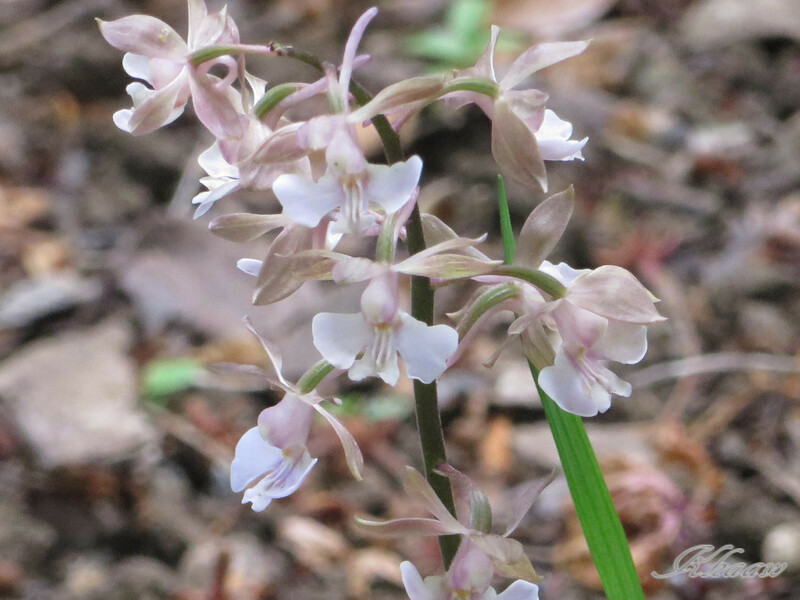 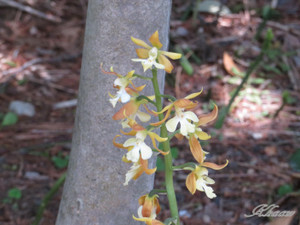 I found many colors of Calanthe orchid flowers. This “lily of the volley” is native variety of Japan “Convallaria majalis var. 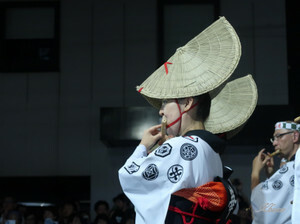 keiskei”. 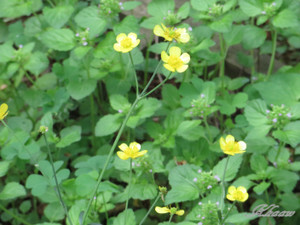 Native Japanese ranunculus “Ranunculus japonicus or Japanese butter cup” is smaller and simpler than Europian ranunculus. 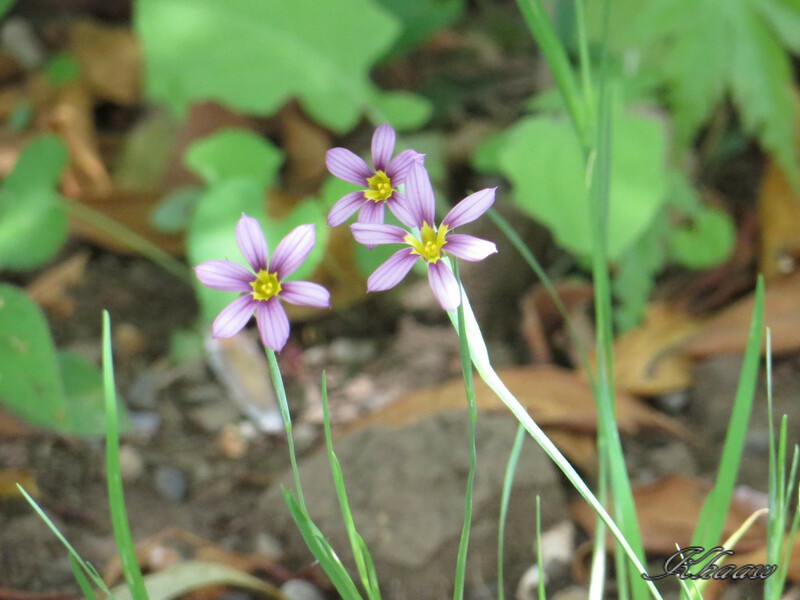 I was thinking a “blue-eyed-grass” was also native but it was from Texas USA. 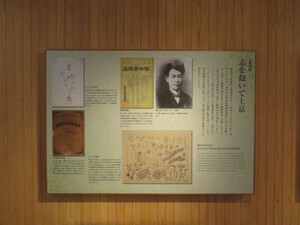 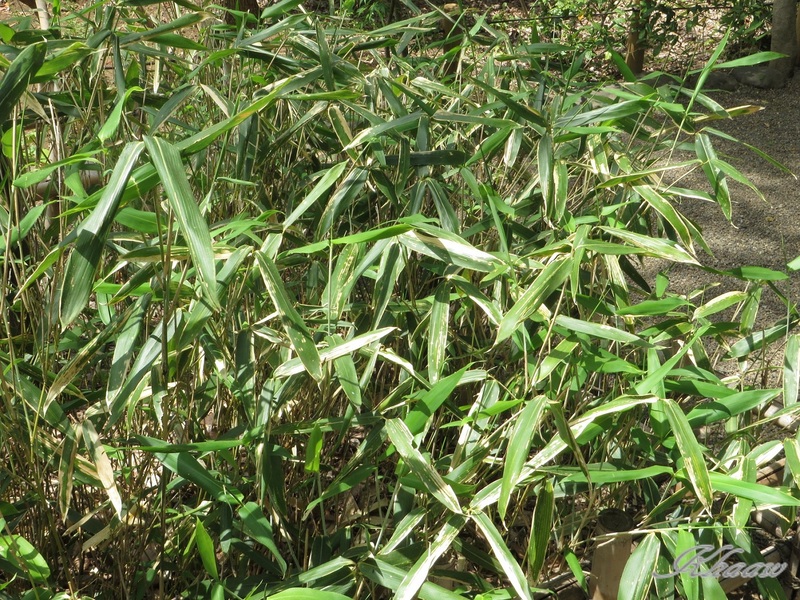 The plants planted such as Theligonum japonica or Japanese bamboo Suekozasa are not so attractive but important not only for his achievement but also for Japanese botanical world. 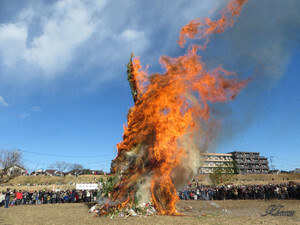 The famous word by Emperor Showa Hirohito "There was no such word as weed. 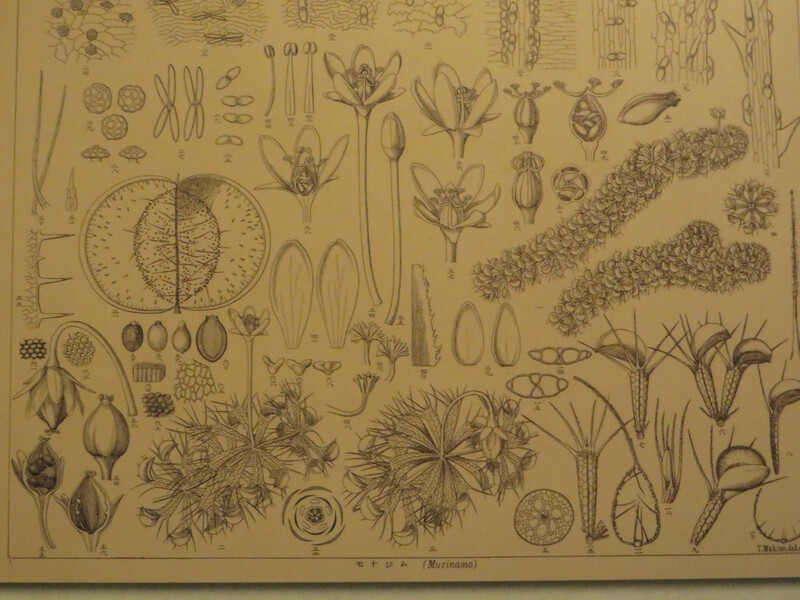 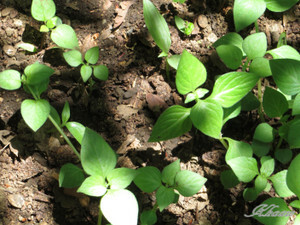 Every plant had its name." was told that its coming from words of Dr. Makino. 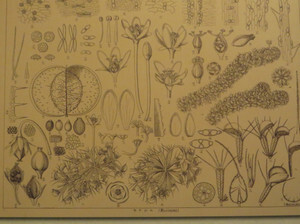 The famous encyclopedia “Makino's Illustrated Flora of Japan” I could not afford when I was student since too expensive. 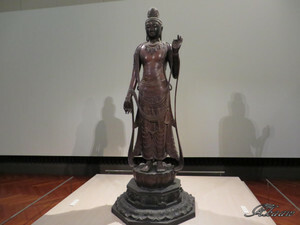 It is still expensive but I wish I can buy now. 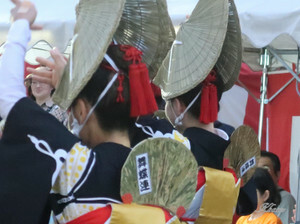 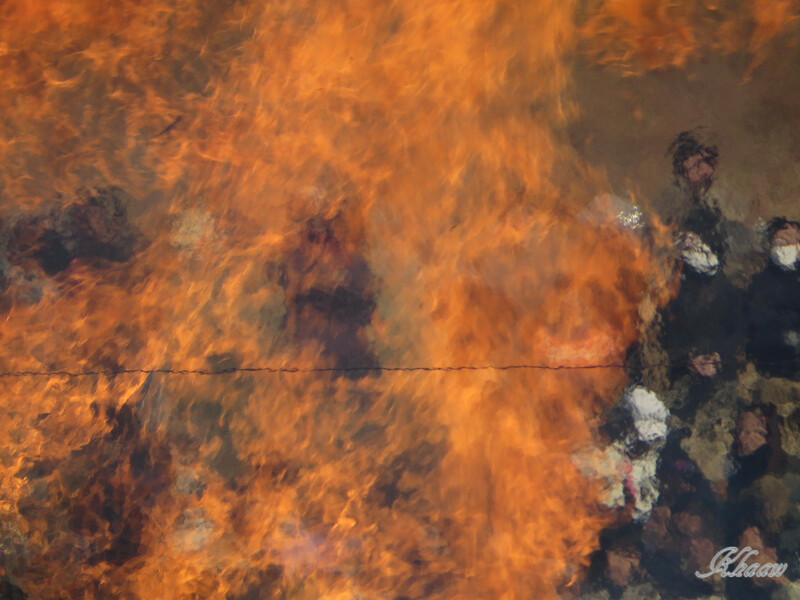 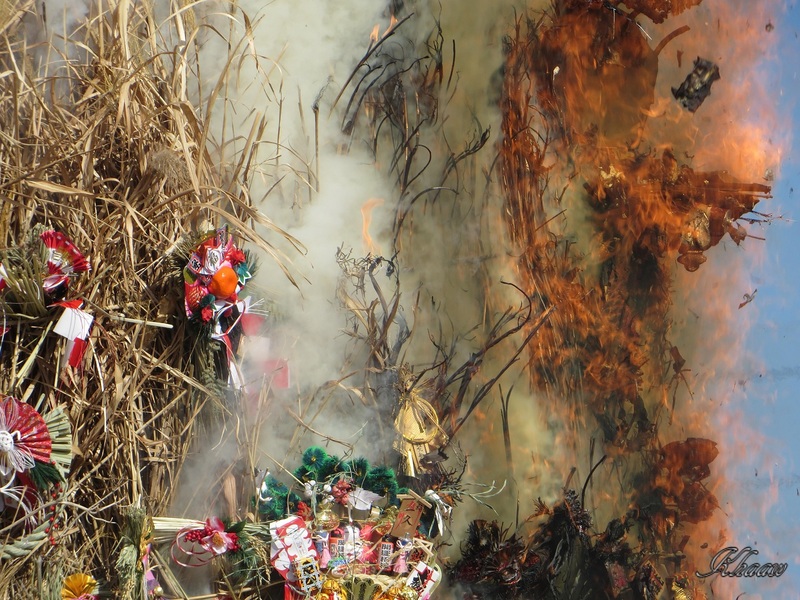 I joined a Dondoyaki, religious fire festival, held on a river front of Tamagawa river near Futako-Tamagawa. The festival is held on a new-year day of lunar calendar for burning used new-year ornamental or old amulets with appreciation of these things. 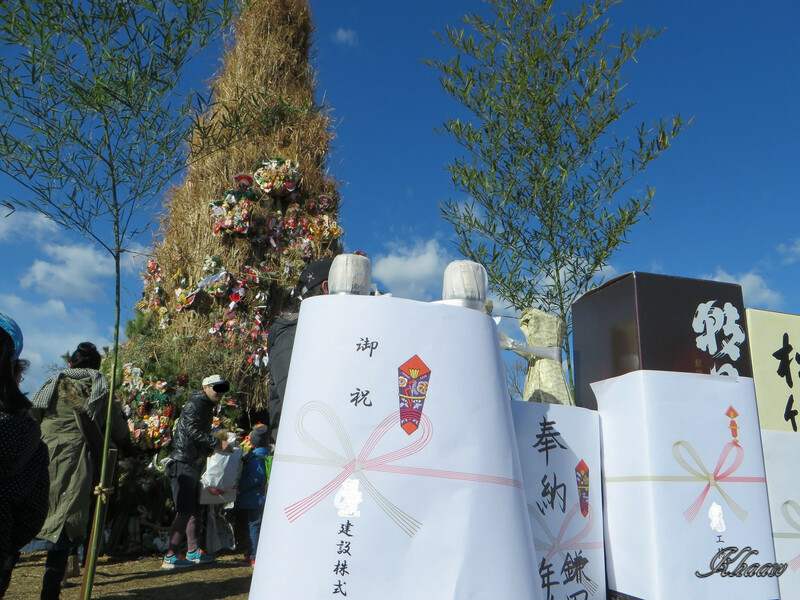 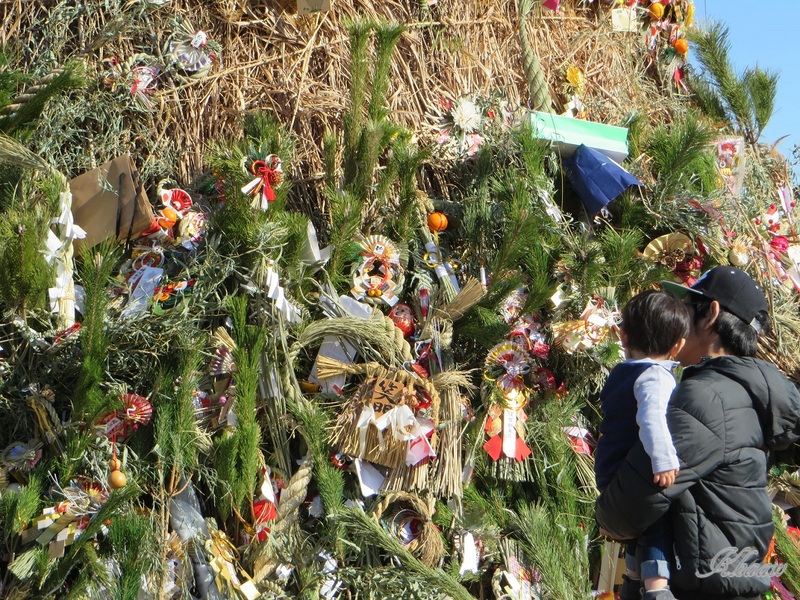 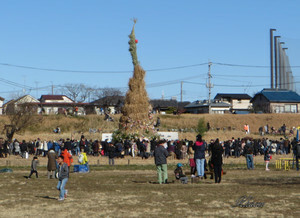 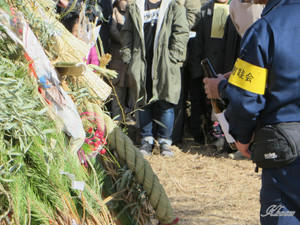 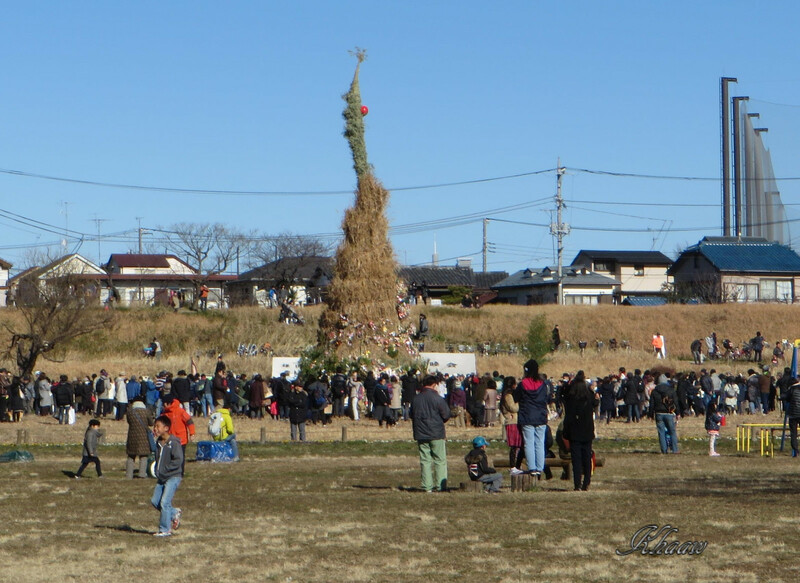 When I arrived at there around 10 a.m., there were many people had already gathered around a 15m height firing tower. 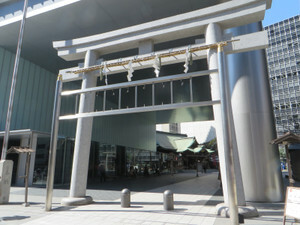 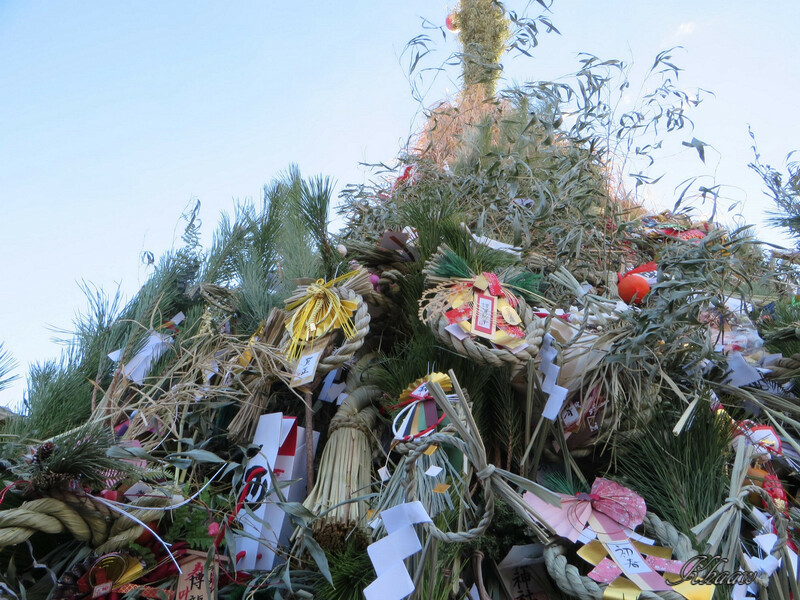 In front of the tower, a Shinto altar was set for festival. 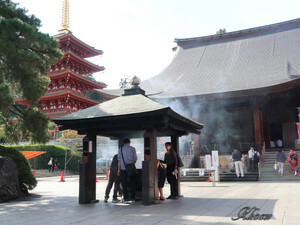 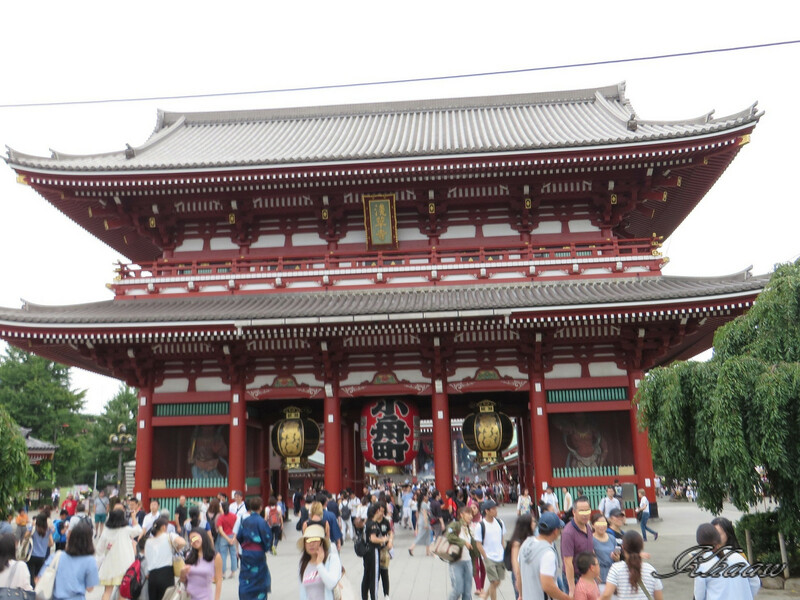 And many people come to put their old ornamental or amulets in or on the tower and waiting for the festival. 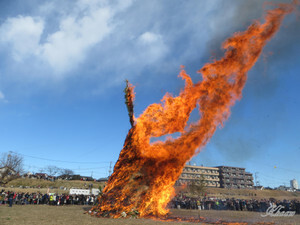 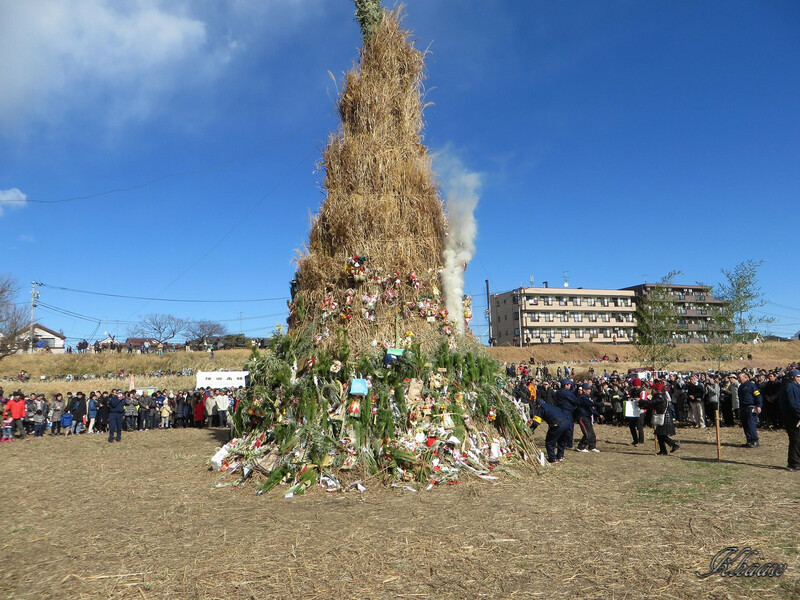 After Sake, Japanese rice wine was poured to the tower, fire was put in the tower. 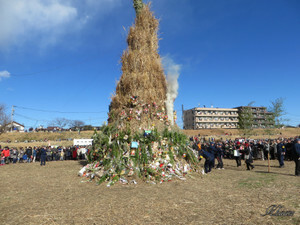 Fire was instantly burning grass tower with ornamental or others. 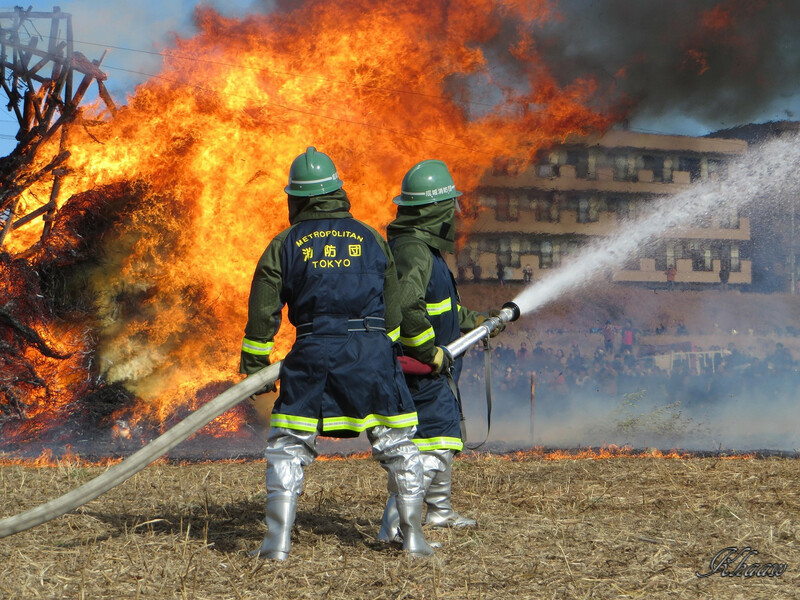 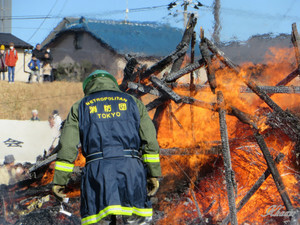 Thanks to the firemen, the ceremony was finished without any accident. 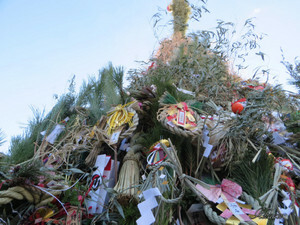 I wish this year would be happy and good for all. 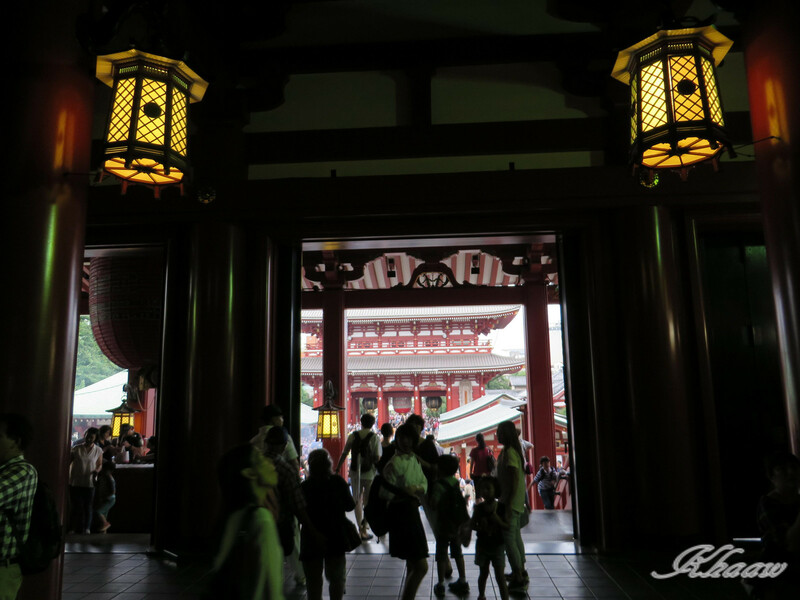 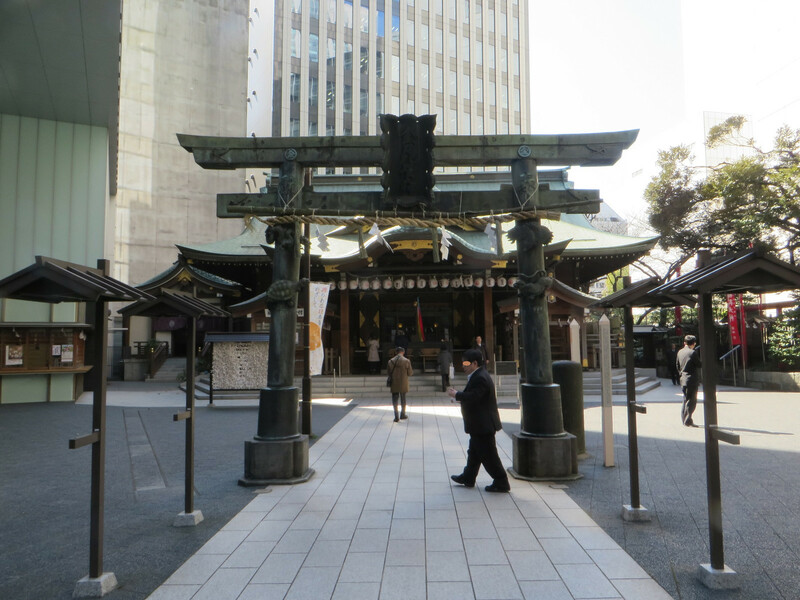 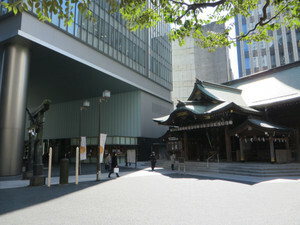 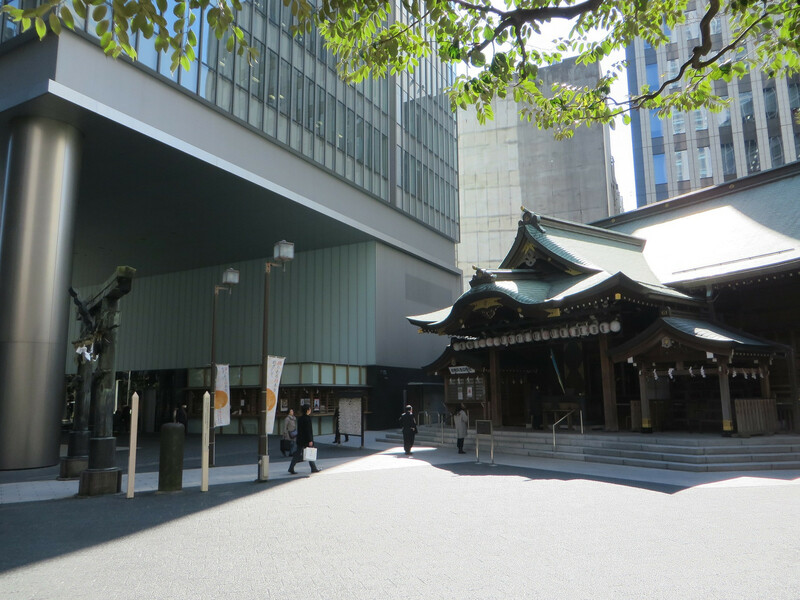 一見、ビルに飲み込まれそうな感じの、虎ノ門の金比羅宮。 Konpira shrine in Toranomon, looks like standing under the tall building. 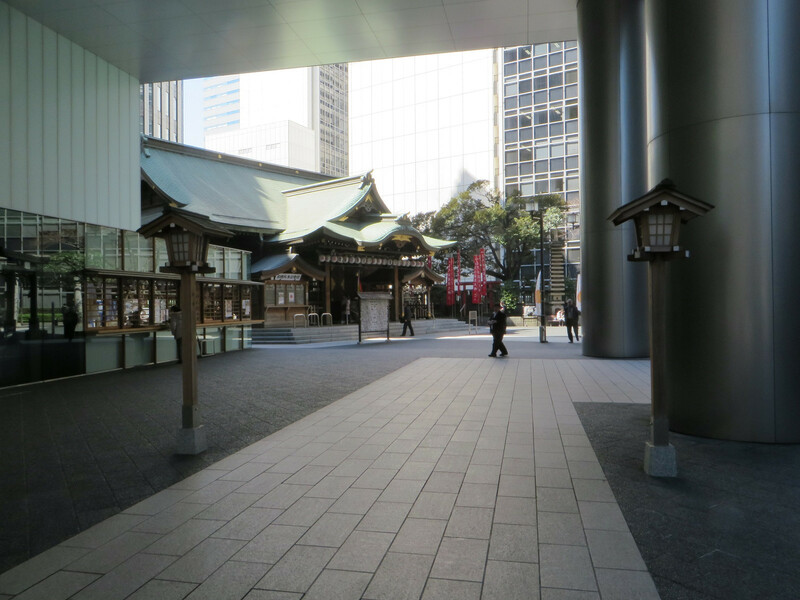 ビルの柱の間をくぐるように参道を進み、本殿にお参りです。 You can come to a main shrine building through approach between pillar of the contemporary architecture. 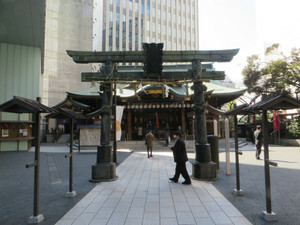 A torii; shrine gate in front of the main building has four gods of animals guarding four directions; Azure Dragon（of the East）, Black Tortoise and snake (of the North）, White Tiger（of the West）,Vermilion Bird（of the South) on its columns. 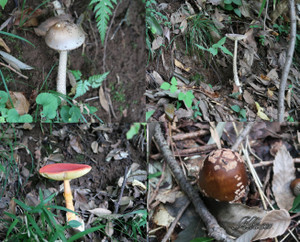 Can you distinguish? 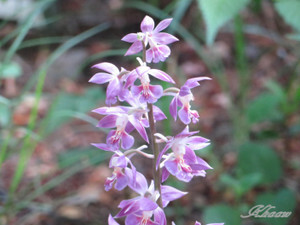 Picture will be enlarged by clicking. 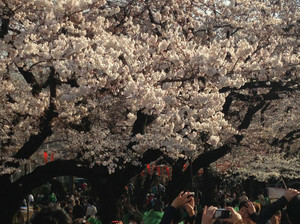 Such scene can be seen only heart of a metropolitan. 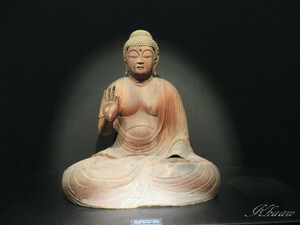 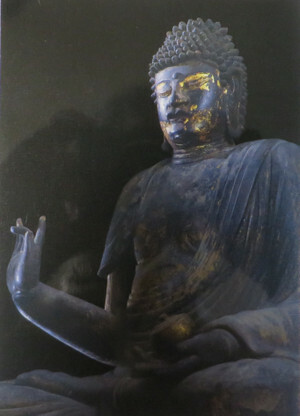 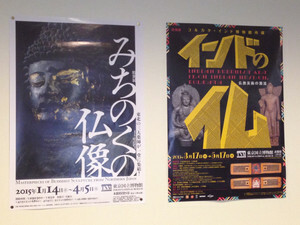 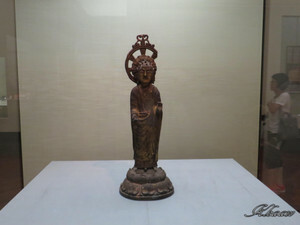 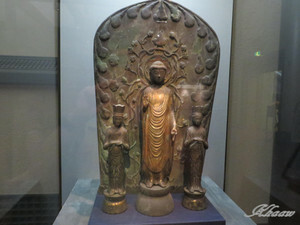 二つの仏像展に出かけて来ました/ I visited two exhibitions of Buddhist statues. 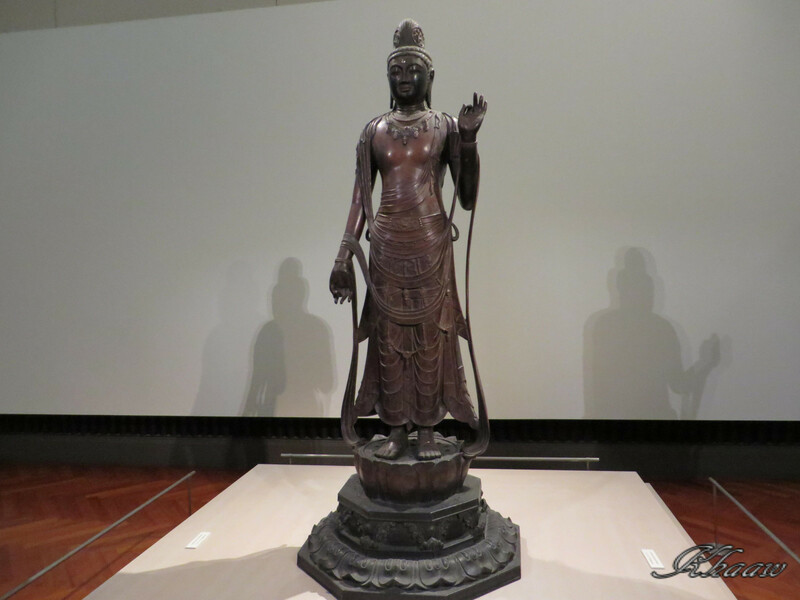 I visited two exhibitions of Buddhist statues in the national museum in Ueno park, Tokyo. 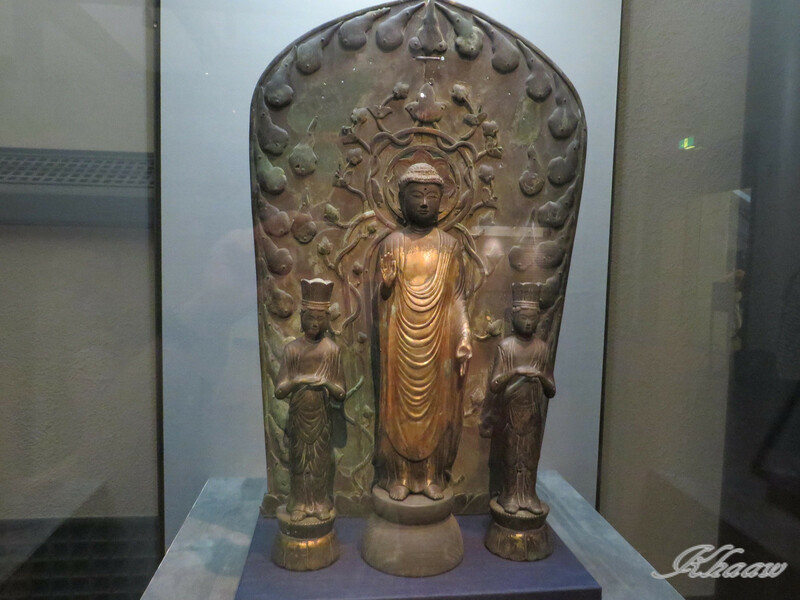 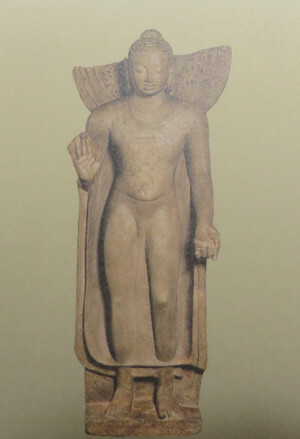 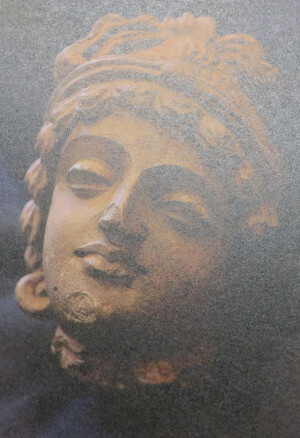 One is “Indian Buddhist Arts” and other is “Buddhist statues in Michinoku, northeast area of Japan. 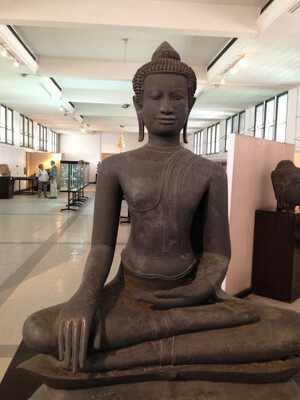 I felt that Buddhist statues in India looks relatively simple and real humanity in them as well as influenced by western culture. 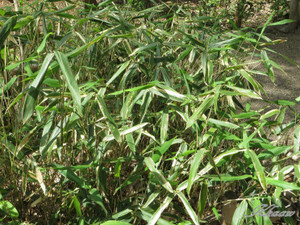 And I found them had long limbs. 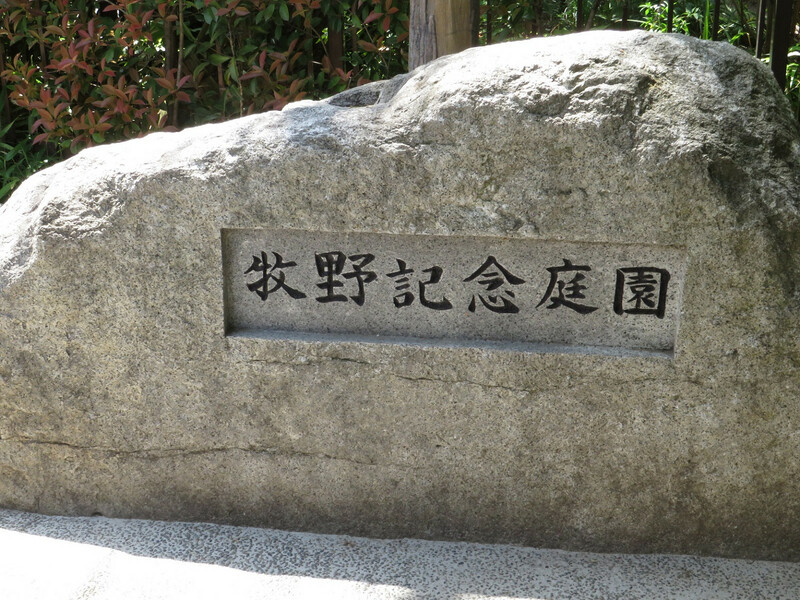 On the other hand, statues of Michinoku look heavily and profound. 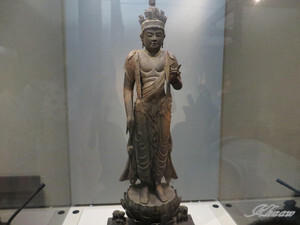 Many statues of Michinoku made of woods like Japanese zelkova contrary to Indian statues mainly made from stones or metals. I can feel Japanese is woods and timber country. I was not able to take photos of exhibits directly and I uploaded photos from postcards. 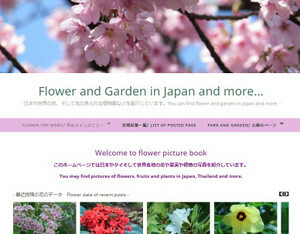 I would recommend to visit and see directly if you have some interests. 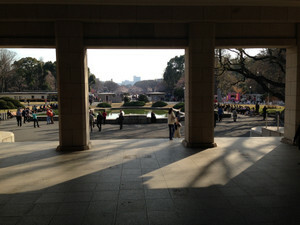 From the gate of the museum, I was able to many people enjoying to watch sakura, cherry blossoms just start blooming in a Ueno park. I also enjoy them on the way back to home.